While other companies are trying to sell us $550+ bats with spinning handles, DeMarini is approaching the plate this year with what it seems like players want: the best plate coverage with the smoothest swing. We aren’t the only ones to have information about the CF7. Other places, in particular those who sell bats, usually have a boiler plate write up on the specs of a bat. Many of those we reference to make sure we are seeing what we should be. 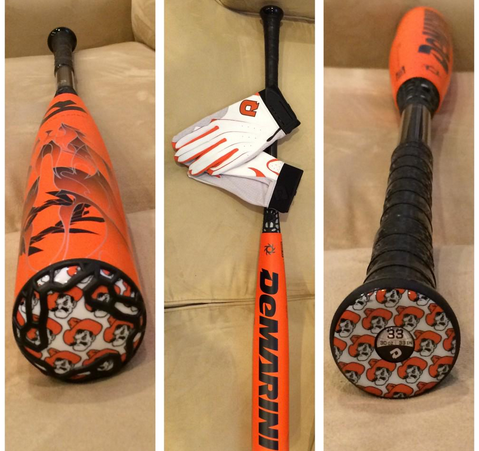 Here are some more references for the 2015 DeMarini CF7 review. Look, if you can find a BBCOR CF7 then buy it. These bats are famous for a reason and people love the feel and performance. It really doesn’t get any better than these bats—and if you can get one at a discount then hallelujah. The drop 5 in the CF7 is one of our favorite bats ever. We are huge fans and it ranks among some of our favorite youth bats ever. If you can find these bats, and you likely can’t but in the secondary market, buy it. In the 2015 class the most comparable bat is Easton’s Mako. It, too, is a two piece composite bat with a big barrel, light swing and monster smash.. You might also take a look at the 2015 915 Prime from Slugger. Although in its first year of product it makes a legit offering—and in the secondary market it is remarkably less expensive than the CF7. The CF7 is a two piece composite bat with a big barrel and a light swing weight. At the time of its construction in 2015 this was a unique piece in the market and Demarini crushed it. Many companies now follow suit and try and create this type of bat. 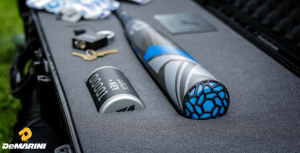 DeMarini’s use of a connective piece and high end composite still work today. And, in large, measure, the bats produced today are not much different than the 2015 DeMarini CF7. The CF7 comes in nearly every size imaginable. A BBCOR with lengths from 30 to 34. A senior league in drop 10 with either a 2 5/8 or 2 3/4 barrel. A 2 3/4 drop 8 as well. And don’t forget the youth barrel (2 1/4) in a drop 11. Those looking for a drop 5 should zero in on the DeMarini Voodoo.